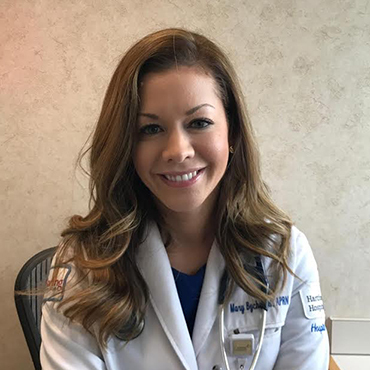 Born and raised in Springfield, Massachusetts, Nurse Practitioner Mary Bycholski received her Bachelor’s of Science in Nursing from College of Our Lady of the Elms,. She started her career as a pediatric nurse and then eventually went on to specialize in Emergency Medicine. She worked for eight years in a trauma center where she carried out her passion to be apart of a healthcare team treating critically ill patients. While working full time, Mary earned her Masters of Science from University of Connecticut in Adult Gerontology Acute Care Nurse Practitioner. She has provider experience in Neurology, Internal Medicine and Emergency Medicine. Her interest in aesthetic medicine drove her to begin acquiring certifications in aesthetic procedures from the American Academy of Procedural Medicine. Mary is a member of the American Nurse Association, American Academy of Critical Care Nurses, and American Academy of Procedural Medicine. Mary believes that every patient should feel good about their appearance, which will ultimately increase their mood and decrease their stress. She is guided by the belief that there is a strong correlation between emotional and physical health. When not occupied providing patients with the newest advancements in medical technology, Mary enjoys working out, running races but most of all spending time with her husband and two young daughters.